At Assured Lettings we take our applicant referencing and due diligence checks very seriously, we therefore have minimal issues with rent arrears. However, referencing checks only provide a snapshot into an individual’s circumstances, they cannot foresee situations such as job redundancies or marital splits. We want to give our landlords assurance that their rent return is safe, which is why we offer the Assured Lettings Rent & Legal Guarantee. Our guarantee protects you against rent arrears owed by your tenant under the terms of the Tenancy Agreement, it also covers all of the Legal costs to repossess the property following a tenancy breach by the tenant. There is no excess to pay and you will not have to deal with insurers, the rental payments will come directly from Assured Lettings until we regain possession of the property. The cost of this guarantee is £170 per annum, per property. A minimal price to pay for complete peace of mind! 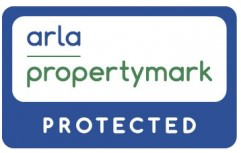 Please note, our Assured Lettings Rent & Legal Guarantee is only available to landlords who opt for our Fully Managed service.